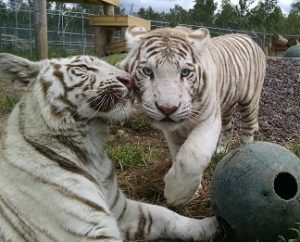 Become a part of The Wildcat Sanctuary's Monthly Pride! Home » Give monthly by joining our Monthly Pride! Give monthly by joining our Monthly Pride! Yes, I'd like to repeat this gift monthly. Please charge my card automatically on the 27th of each month. I want to stay in touch with the animals through email updates. Join our Monthly Pride! 12 gifts in 12 months makes you a guardian to the cats! Guardians are important to our residents. In fact, you’re the backbone that sustains their safe home. The Monthly Pride is a group of dedicated supporters who make a monthly gift that provides a huge impact on the lives of our residents. And because monthly donations are processed automatically, less time is spent on fundraising and more time is spent saving lives! And in the end, that’s what matters most. Fill out the above online form, or call us at 320-245-6871 with your debit or credit card information and we can set up your monthly re-occurring gift for you. 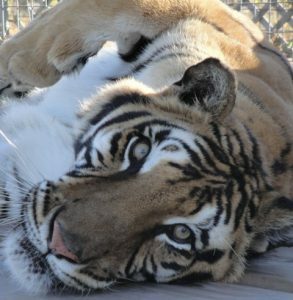 Another way to give monthly is through our Sponsor-A-Wild-One program. Sponsorships start at as little as $12.50 a month. You can learn more about becoming a sponsor parent HERE.